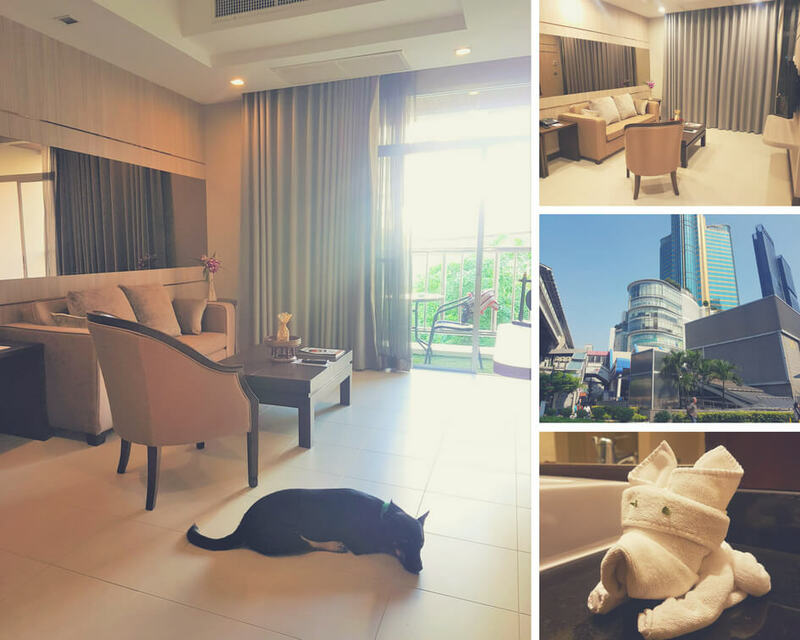 I had the pleasure to be hosted by Grand Mercure Asoke Residence a short while ago and I think it might be one of the best dog-friendly hotels Bangkok has seen. They took very good care of me and my dog. Nevertheless, all opinions are my own and I only recommend places that I truly like. 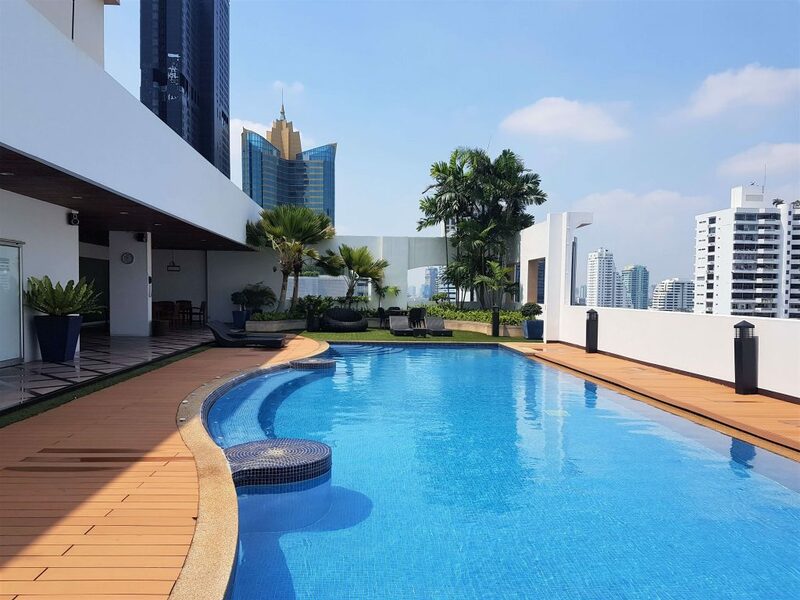 Picture credits from the background pool image go to Grand Mercure Asoke’s own website. When you stay in an apartment hotel you get the luxury of a kitchen and a more home-like feeling. This means that you can make your own brekkie if you want to but luckily the breakfast is also served every morning if you want to take it easy. We stayed in the Superior suite which was 71m2. I think the place attracts business people as well, some of them seemed longtimers. Staff seemed to know some of the guests very well and I heard some friendly talks during breakfast between the kitchen staff and the guests. This gave the place a homely atmosphere. 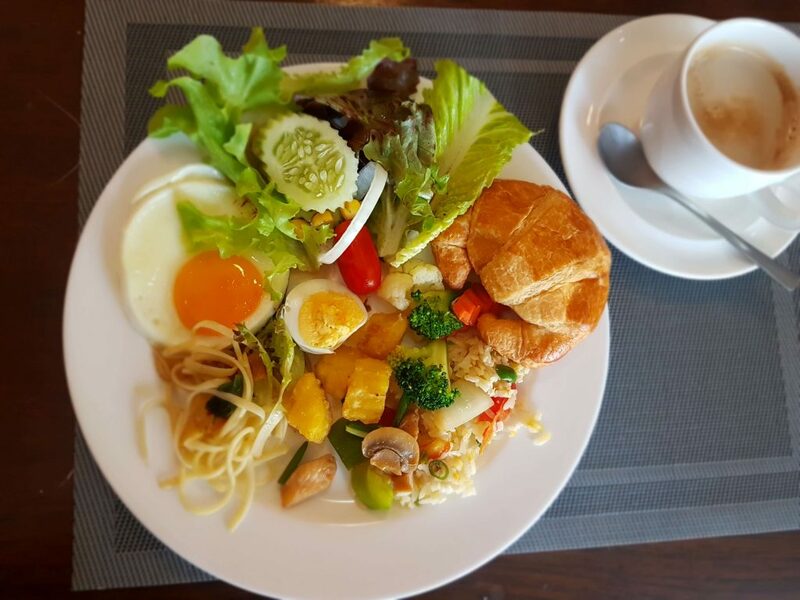 Since we are talking about food, I have to say that the breakfast was pretty good. It included Asian dishes but also all the Western staples. 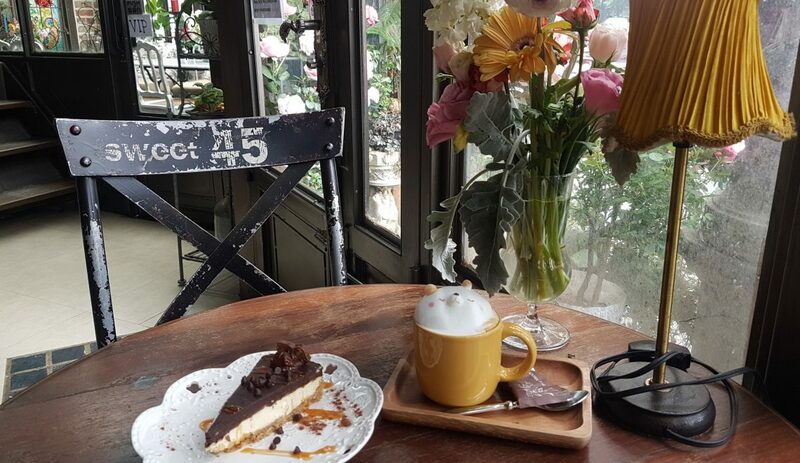 And since I’m a sucker for everything sweet, I was happy about the few different cakes and croissants with preserves that I could enjoy with my cappuccino. Specialty coffees and hot chocolate came from an automatic espresso machine so it was not a perfect 10 but I could live with this minor detail. I just loved the room. The suite felt very spacious, especially when there was only me and my dog. The kingsize bed was very comfy and I was happy to put my head on a pillowcase which had my name embroidered on it. Similarly, the pet theme that was present in the towels added up to the fine details that the hotel knew how to arrange. Chase also had his own bowl with his name on it and a small bed made up for him. The comfy and cozy king-size bed. See the folded doggy towel in the front? The room had 2 bathrooms, a shower and bathtub were located next to the bedroom. Bathroom amenities were plentiful and the bathrobes were comfy. The living room came with a big plasma tv and had a door to a balcony albeit it was quite a small one. The good thing was that the building across the street wasn’t too close so you weren’t looking inside anyone’s apartment directly. The pool was just fab and it wasn’t busy either, at least in April when the high season is behind. There was also a sauna and a decent-sized gym which I, unfortunately, didn’t have time to use. But nowadays I always check out the gym facilities and book a hotel which has one if I haven’t had time to work out and I know that I won’t have time to find a moderately priced yoga studio nearby. 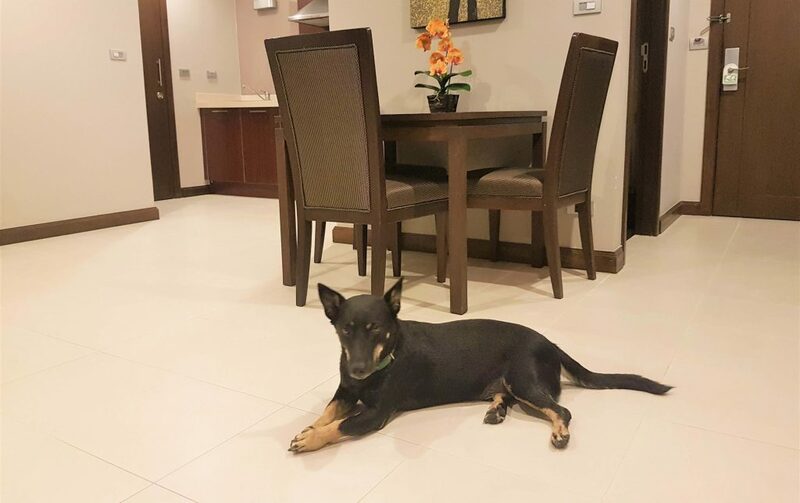 The cost is 300 baht/day for your dog which is about average in Bangkok hotels. The weight limit is 10 kilos. Most likely they would be flexible with this if your pet is clean, friendly and well-behaving. They offer a food bowl for your dog and a bed is made. To be honest, though, Chase didn’t care too much about it and slept on the floor. The bed had an absorbent cover which was perfect to put in the crate for the long flight. 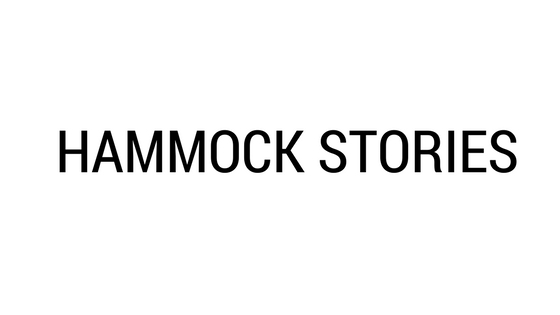 The hotel is located at 50/5 Sukhumvit Soi 19, meaning it is very close to Asokes’s transportation and shopping hub. Despite that, the smaller streets around the hotel were good for walking a dog. We didn’t make super long walks but I think feel that if it’s only for a few days, shorter strolls are fine. 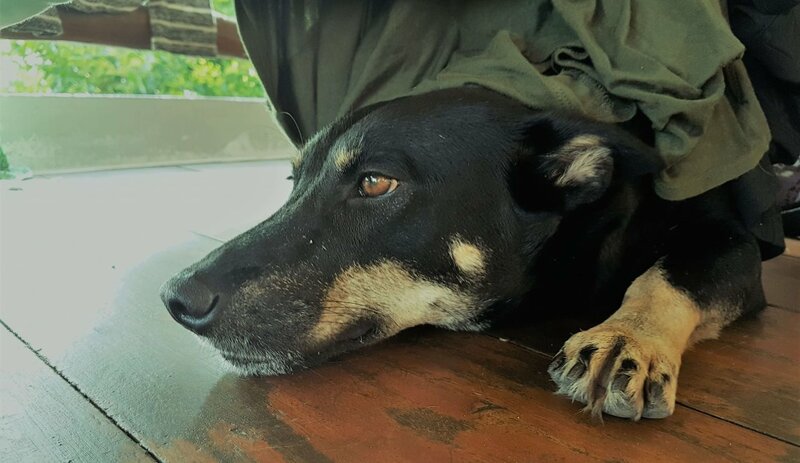 For more info, on how to make pet travel in Thailand easier, have a look at this post which has plenty of useful tips. More info about www.grandmercure.com/GRAND-MERCURE-ASOKE-RESIDENCE here. 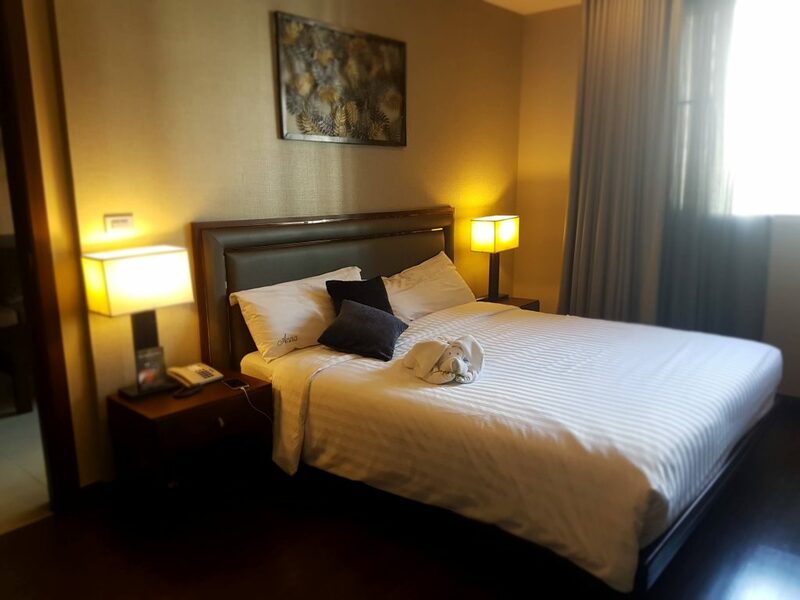 Our experience at the Grand Mercure Asoke was very fine and I’ve been to quite a few hotels with Chase already. 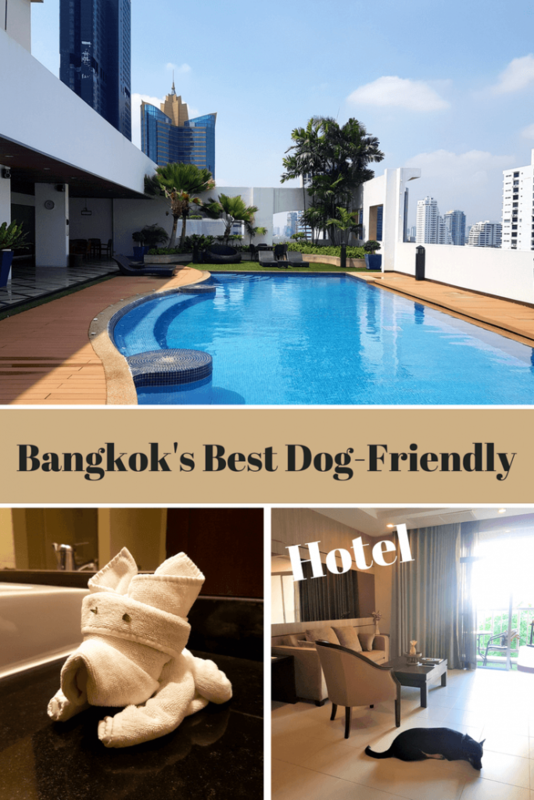 That’s why, in my opinion, it’s one of the best dog-friendly hotels Bangkok has to offer. Given the chance, I would go back soon again. 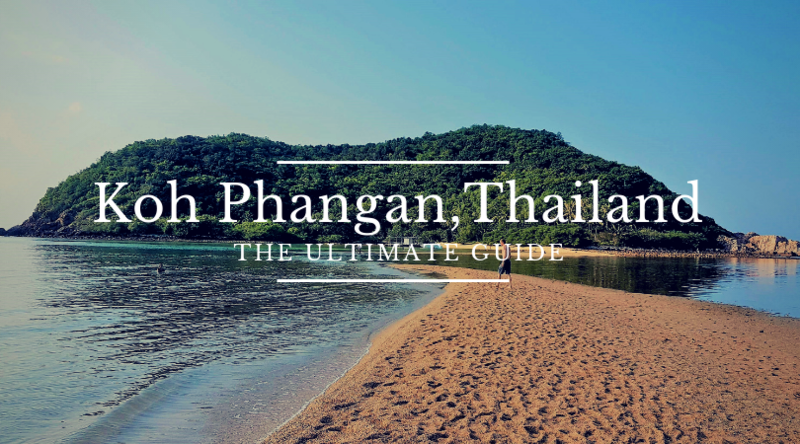 Oh, and if you are looking for other quality hotels in Bangkok, check out this post by Everything Zany. I can’t believe both you and your dog had personalized pillows and/or bowls. What a service! Also love the dog-themed towel art! It was super service, Pascale! Omg what a great hotel! And I love the doggy towel art! That would really melt my heart every day! This is a useful info for those traveling with fur babies. The hotel seems to be very accommodating to dogs. I love the doggie towel deco! What a nice touch. Ah such a cute hotel in Bangkok. I really love the dog towel detail – so cuuuute! Definitely looks like a place I will want to stay in if I do visit Bangkok. Thanks a ton for sharing.